Nowadays many people has cervical problem. Spondylosis is different. Cervical problem can be seen between shoulder and neck. People afraid when they know they have cervical problem. They think that blood cannot circulate to the mind; the neck bone may be increase and so on. However it is not true. Children feel the pain under the neck with exhaustion. Pain occurs in cervical due to exhaustion in cervical curve. If child become weak in study with pain, his memory power become weak. You should take care of your child when you feel that his memory power suddenly becomes weak. As it will convert into Spondylosis after few times. If there is bad planets or it has effect of Saturn and Rahu in third place of birth chart, then this type of children always have problem in shoulders. They feel stress over the shoulders. If there are bad planets or Mars, Rahu and Saturn affect the second or third place of birth chart then children always have problem of cervical curve. Due to weak Sun and Mars person have problem in cervical curve. Also person’s Mercury is affected by Rahu or Rahu and Saturn are with Mercury or Mercury sets with Jupiter or Sun then children have cervical problem. You should give such chairs which gives support to the children’s back. Children should seat in hard chairs for a while. Children should take break for 2-4 minutes when they study for a long time. They should stretch their legs and neck during study. They can freshness by doing this. They can also take deep breathe. Children should avoid bowing their shoulders. Parents should start observing children’s posture at the age of 3 year. Children should keep their hand straight while they have bags on their shoulders. Children who remain in stress they also have problem of Spondylolisthesis, cervical problem. Cervical curve give balance not only to the body but also to the mind. Due to cervical curve we can reach to the god. We can get intuition power. Each energy power went from cervical curve. Whenever balance is disturbed then people have effect on their cervical and shoulders. Due to this people have pain around their shoulders. Children’s mind power becomes weak. Their memory power becomes weak. Their anxiety level increase. Children should make habit of taking deep breathe in clean air. Children can also do acupressure on main parts of their hands. 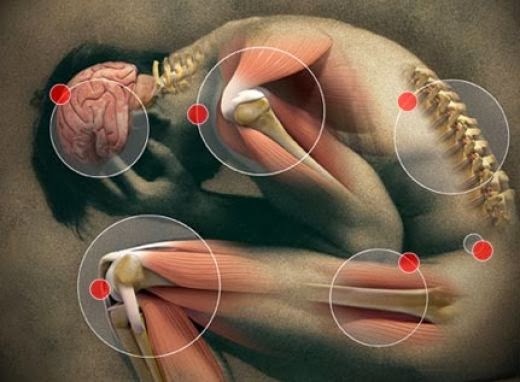 Acupressure gives strength to the hormonal system. If you can acupressure your thumb points then it give strength to the Venus. Venus also gives strength to the hormonal system. You can also seat by combining your legs and hands. It gives energy to the body. You can rub your nails which help in blood circulation. It also gives strength to digestion system. You can take 20 Gm butter which is made from cow’s milk, 20 gm Mishri, and 5 piece of black pepper and crush them. Children should eat 2-3 times in a day. It gives strength to mind. You can also do massage by olive oil on shoulders and neck. When you do massage you can give pressure by thumb on shoulders. Spondylitis can also occur due to stress and seating practice. Spondylitis can also occur due to decrease in chemical such as sodium, calcium and iodine in the body. Whenever you feel weakness during study you can take deep breathe. It gives energy to the body. You can rub your nails rapidly for a one minute. You can also drown your legs in water. You can drink one glass of water by doing this. You can seat at 90 degree and stretch your legs.